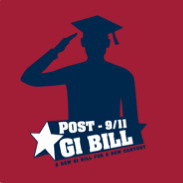 Veterans Educational Services provides assistance for veterans and their families with certification for Veterans Administration benefits including all chapters of the Montgomery GI Bill. The office can also assist veterans and their families with application for other benefits such as the National Guard Grant, Illinois Veterans Grant, and the MIA/POW Scholarship. The office is staffed by a Certifying Official and four to five veteran student workers. All applications and necessary paperwork for veteran educational benefits can be found at the office, as well as a computer for those who wish to fill out an online application for Veteran Benefits with the assistance of a student worker. We recommend all students complete the Free Application for Federal Student Aid - got to fao.siu.edu to begin. Here is a list of required documentation needed when applying for the above educational benefits.